The approval of the UN resolution on the withdrawal of Russian troops from the territory of our country has become possible thanks to the efforts of the Chisinau authorities and the Moldovan diplomacy. This decision is a signal of solidarity and represents a victory for those who are in the independence and integrity of the Republic of Moldova. The statements were made by Prime Minister Pavel Filip at a press conference. The prime minister stressed that the resolution does not concern the military peacekeeping contingent in the Transnistrian region. The document refers only to the operative group of the Russian army stationing illegally on the left bank of the Dniester River. According to Pavel Filip, Chisinau insists on the transformation of the peacekeeping mission into a civil one. "I would like to send my gratitude to all friendly states that have voted in favor of their proposed project. We will not stop here. By the approved resolution, we ensure that this issue remains on the agenda of the United Nations General Assembly until the last Russian soldier will not leave the territory of the Republic of Moldova ", said Premier Pavel Filip. 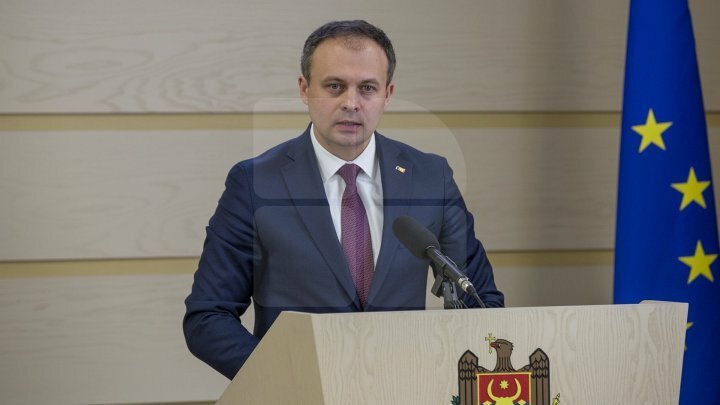 The prime minister was asked by the journalists about the criticism of the former US ambassador to the USA, Igor Munteanu, who contested the success of Moldova at the UN. The former diplomat claims that this act is not applicable and that authorities should create internal mechanisms to change the situation on the left bank of the Dniester. Filip said that this position is unconstructive. "These diplomats were more at McDonald's than they worked for the interests of the Republic of Moldova. It is a very clear example, in my view, what it means to work for the country and what it means to get out of the mouth. It's easier to criticize, it is easier to express your opinion than to do concrete actions, "Prime Minister Pavel Filip said. In turn, Parliament Speaker Andrian Candu wrote that after the approval of the UN resolution, we still have a reason to be proud that we are Moldovan citizens. "Our country becomes stronger, but don't that those behind all our victories are the civil servants, who are celebrated today," noted Andrian Candu. And Moldovan Democratic Party Chairman Vlad Plahotniuc said that by adopting this document, our country has achieved historical success at the UN. The PDM leader congratulated the Government and Parliament for their efforts. "This success comes in a government that has been wrongly accused of duplicating actions and promoting the interests of Moscow, speculation which we have always contradicted by concrete and firm actions, this success is the result," Vlad Plahotniuc wrote on his Facebook page. He also added that the UN resolution will lead our country closer to liberation from the occupation of foreign military troops.